Older people have plenty to think about when it comes to finance. Retirement, pensions, insurance, bills – it can seem overwhelming. But it’s essential that we continue to monitor and manage our money as we head into later life so that once we reach old age we’re as financially comfortable as possible and free of worry. A study in 2015 found that 85% of older people (aged 51 to 75-years-old) had no financial plans in place for their own care. This worrying statistic perhaps reveals an unwillingness to think about our most important future needs until it is too late. All of our circumstances are different, so it’s important to work out and put a realistic financial plan in place to set out our predicted income and outgoings. To help you plan for your future we’ve put together a list of our top 10 finance tips for older people. The UK has a rapidly ageing population. Both the Government and the NHS are struggling to cope with the demand for the healthcare and support needed by older people. Personal alarms can help with this but are by no means a catch-all solution. It is impossible to predict the future, but it is likely that private pensions will be more important than ever in the years ahead. Once you retire, you will usually be drawing most of your income from a mix of state and private pensions. The State Pension is a regular income paid by the UK government that most people qualify for once they reach State Pension age – currently 65 for women and 68 for men (although this depends on the year you were born). A private pension is essentially a wrapper around savings or investments that permits some tax benefits. Most people contribute to private pensions through a workplace scheme but there are other means of doing so, such as a Self-Invested Personal Pension (SIPP). Remember that it is never too late to start a pension. Although the ideal situation is to start saving as young as possible, so the pension has a longer time to accrue value, you shouldn’t give up hope no matter how old you are. The tax incentives of pensions can even benefit those who start them when they retire. Calculate your current monthly outgoings from your bank and credit card statements. Think about how this might change when you’re not working – most people’s outgoing reduce when they no longer have to factor in the costs of commuting to work etc. Work out your monthly income sources post-retirement – from pensions, interest, investments, savings etc. Look at what benefits you may be entitled to. Examples include senior rail cards, VAT exemption, and a Winter Fuel Allowance. Decide when you want to retire and when your state pension is available. Make sure you inform the HMRC when you are retiring. Ideally, this should be done a few months beforehand. The Pension Service will then contact you four months before the retirement date – but you can contact them on 0808 100 2658. A year before you retire, calculate your final pension. Contact your current and past pension providers and find out how much is owed to you and how it will be paid to you. Find out everything you need to know about pensions. Attendance Allowance – Helps those who may need extra help to stay independent at home due to illness or disability. This helps people to purchase equipment like a pendant alarm. Carer’s Allowance – This is typically given to a friend or family member who cares for an older relative and can be used as needed. Over 60’s Help – Everyone over the age of 60 is eligible for free prescriptions and free eye tests. You may also be eligible for help with other NHS costs such as dental treatment, travel costs for treatments and vouchers towards lenses. Disability Living Allowance – Known as DLA, this is a tax-free benefit that helps with mobility and care costs if you’re living with a disability. Bereavement Benefit – This is a welfare benefit, available to those who have lost their husband, wife or civil partner. There are four types of bereavement benefit; bereavement support payment, bereavement allowance, widowed parent’s allowance and bereavement payment. For information please visit the Citizens Advice website or call them on 03444 111 444. Find out more about the benefits available to you. Bills aren’t pleasant at any point in life, but they can be an additional worry to older people and their loved ones. Energy bills, rent or mortgage payments and food bills are important regular expenses and need to be looked after as they have a huge effect your financial situation. As we get older and our income decreases, it’s important to ensure that we are spending as little as possible on our energy bills. As older people typically live on a fixed income after retirement, a good choice might be a fixed rate energy tariff. A lot of energy companies offer discounts if you take out both gas and electric with them, but it is very important to compare prices across the energy market. Remember that no matter the supplier you choose it is the same gas and electricity, delivered through the same pipes and cables. The only difference is the customer service and the price! There’s also usually an additional discount if you pay by monthly direct debit. Paying by direct debit also ensures that you know exactly what you are paying every month. The Money Saving Expert website is a great place to visit every now and then to see all the latest offers, alongside great hints and tips from Martin Lewis. It’s also worth noting that the government offers a winter fuel allowance, between £100 to £300, to help with the cost of energy bills through winter. Turn off your lights when you’re not in the room – Lighting accounts for 19% of the average household’s electricity bill. Turn down the thermostat – Reducing your room temperature by 1ºC can reduce bills annually by around £85. Remember, however, that staying warm enough is essential for good health and keeping healthy should be your top priority. Home Insulation – Loft insulation alone can save you around £175 per year. Some energy companies even offer free loft insulation as part of the ECO scheme. It’s the small things that count – Remember to close your doors and to turn the TV off whilst you’re not in the room. Find out more ways to save on your energy bill. Risk – Having your money in a bank savings account is a safe bet, with little risk involved, but the interest rate won’t generally beat inflation. In other words, your savings will be decreasing value over time. Looking to invest some of your money may seem like a risk, but it could lead to more valuable income. Remember that the greater return you want, the more risk you’ll usually have to accept. Types of Funds – Low risk bonds such as Gilts issued by the government can bring you an income of perhaps 2% to 3%. A greater risk comes with Equity Income Funds, which are investments in shares in companies like Barclays and BT. These can increase your income through dividends payments. Advisers recommend a balance of low and high-risk funds where you can invest as little as £1000. Diversify – It is commonly advised to spread your money between different kinds of investments, as this helps reduce the risk of your overall investments under-performing or losing money. For example, in shares, you can spread your investments between large and small companies, UK and overseas markets and different sectors such as industry and finance. Investments can be tricky business but luckily there is help out there. Money Saving Expert is always a good source of helpful material. A lasting power of Attorney is a legal document regarding finance that allows someone, a friend, family member or solicitor, to make decisions for you and act on your behalf when you are no longer able to do so. There are three types of a power of attorney; Ordinary power of attorney, lasting power of attorney and enduring power of attorney. There are a few reasons why you would need a power of attorney. An example would be if you were in hospital and needed help ensuring bills and other things were paid for in time to avoid additional costs. Another reason you would require power of attorney would be if you lost the mental capacity to make decisions now or in the future, for example if you had dementia. Find out more about the power of attorney. Wills are important later in life, although they are also important at any age as they determine where your finances go, be it to a relative or a friend. It’s something that people tend to put off as it can be an uncomfortable issue. It’s important to have a will in place because if the circumstance arises that you pass away without leaving a will, your estate will become “intestate”. This means that government distributes your estate, possibly not in the way you would want it to be done. Include property, savings, investments & personal items. Clearly state how you wish these to be divided. Appoint an executor of your estate. He or she will make sure your requests are met. They will also deal with inheritance tax. Find out more about making a will. Talking about funerals can be uncomfortable and upsetting. What’s worse is that they are also quite expensive and can put a lot of strain on people – especially given that they come at a time of vulnerability. 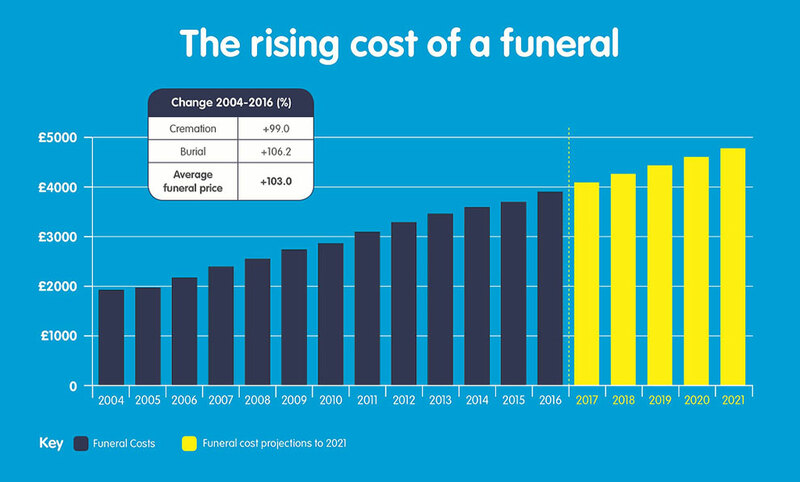 According to the Money Advice Service website, the average cost of a funeral is £3,675. In some cases, the person who has died will have already paid for their funeral. Alternatively, they may have left money as part of their will specifically for the ceremony. Burial fees and exclusive rights to burial in a particular plot. Cremation fees, including the cost of the doctor’s certificate. Up to £700 for funeral expenses, such as funeral director’s fees, flowers or the coffin. Travel to arrange or go to the funeral. The cost of moving the body within the UK, if it’s being moved more than 50 miles. Death certificates or other documents. A useful guide to funeral costs. Care is a very expensive business. Planning your finance situation for care isn’t easy as you can never know what might happen in the future. Just one in 10 of over-45s in the UK have set aside finances to help pay for potential care and it’s no surprise that 40% of us don’t think we’ll need to, according to research done by a financial planner. In fact, it is worth noting that nearly 80% of older people will need some sort of care by the time they reach 80. Working out how to put money aside for care in the future is complex, but we can agree that we would like to stay independent in our own homes for as long as possible. This is why a personal alarm is something to consider as it will give you and your loved ones the peace of mind that help is a button press away. People are living longer and because of this it is more important than ever to plan well ahead. Some care costs are jaw dropping! The average cost for residential care is £29,000 and that is only for two years – while nursing care can make those bills a lot larger. Fortunately, there is help available in the form of benefits; such as NHS continuing healthcare, to help with costs and extra money after we retire. However, investments and savings will play an important role in ensuring that we have financial stability after we stop working. After all, we want to try and enjoy retirement without constantly worrying. Lots of different providers, offering different special offers and using jargon we just don’t understand. Life insurance can be complicated and very expensive as we get older. Travel insurance also costs much more, with travel insurance also becoming more expensive the older you are. Why is this? Well in an insurer’s eyes you’re more likely to make a claim as you get older. A life insurance policy is there to protect your family and loved ones, who depend on your income after you die. Pay-outs from these policies can be used to pay-off outstanding loans and mortgages. They can also help pay for funeral costs. There are policies in-place specifically for people aged over 65 although being accepted may depend on the state of your health. Many travel insurance providers have age limits on their policies. You can take out pensioners travel insurance which, despite costing more, will offer higher cover in key areas such as medical treatment. Find out more about Travel Insurance and Life Insurance. It may not be on everyone’s priority list when talking about personal finance, but everyone deserves to enjoy the things that make life special. After a lifetime of working, why wouldn’t you want to relax, enjoy yourself and discover new places? More retired people are seeking adventure, so it’s important to think about money for a holiday. 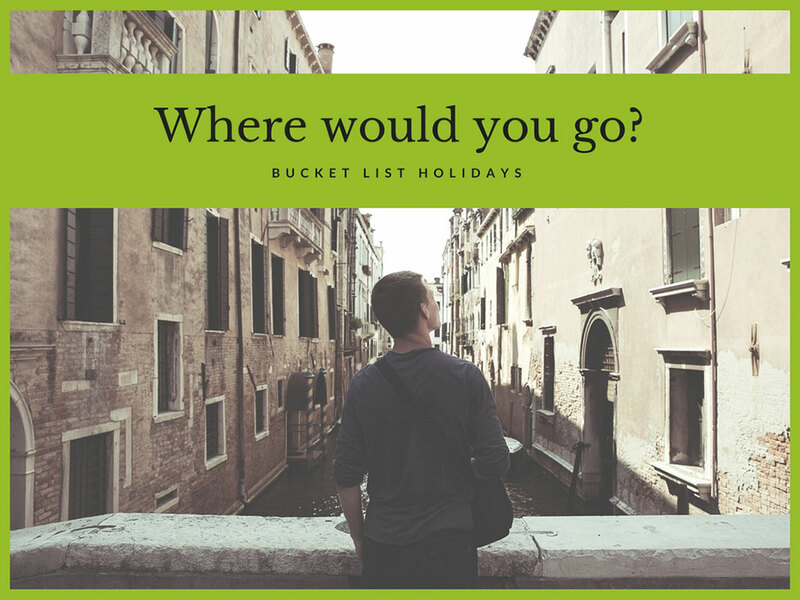 Planning ahead and searching for places you would like to visit can be a good start – perhaps choosing places on your bucket list. When planning a holiday remember to plan them around your needs. There are specialist websites you can turn to for advice and inspiration, such as Silver Travel Advisor and Trip Advisor. It may not be a holiday you want but perhaps time to see the family, old friends or maybe a trip out to see the local sights of jolly old England. Getting out and about is a great way to keep yourself active and dissipate any feeling of loneliness, which can be a big problem for older people. Families are more spread out than ever with work and other obligations taking loved ones further afield, so allowing yourself the financial freedom to go and see family, maybe by bus or train, is an additional worry that you can rid yourself of later in life. There are many travel cards available, such as a senior railcard, that give you cheaper rates so you can save a penny or two on seeing the family or meeting with old friends. Money exchange rate – What will you get for your sterling? Excursion Costs – How much will activities be? Food & Drink – Is it all inclusive or do you need to pay? Insurance – Make sure you are covered or you could end-up spending thousands on medical care. Transfers – Do you have a free transfer, or will you need to buy a bus ticket or for a taxi? A good finance tip for older people would be to invest in the personal alarm service. By having an alarm, it means that you can continue to live in the comfort of your own home – rather than having to pay to be in a care home. It also helps to give your friends and family peace of mind that somebody will help you if you are ill or suffer a fall. The personal alarm is available on three price plans, to help suit your financial situation. We have the Monthly Plan, which costs £12.49 per month, and the Annual Plan, which costs £119 per year. Both plans include a £35 New Customer fee. Alongside the regular MyAmie Pendant, we also offer the iVi Fall Detector on an Annual Plan for £199 per year. For more information on purchasing one of our life-saving personal alarms, speak to one of our friendly advisers on 0800 999 0400. Alternatively, complete our contact us form and we will get back to you as soon as possible. Editor’s note: This Finance article was originally published on September 15, 2017. Updated on December 13, 2018 to improve the information available. Thanks to the writer for taking this topic. This is not only useful for an old person even many financial savings tips are very useful for youngsters. Financial saving is must for an old person which helps them to solve many critical problems any more in near future. Super useful tips, thank you! This a great article, I am sure I am going to be able to save some money now.